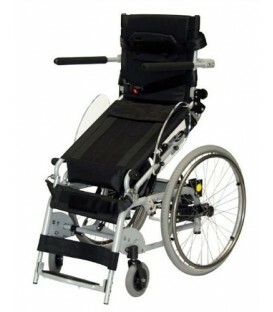 The CTM HS-2850 Rehab Seat is a mid wheel drive power chair comes complete with a rehab seat, flip up footplate, height adjustable arm rests and an easy to use Dynamic Shark controller. 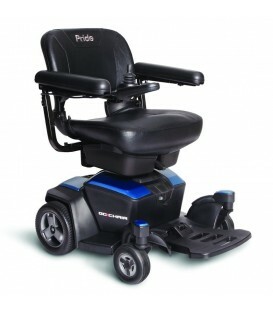 With six wheels on the ground at all times and full coil over suspension, the HS-2850 provides a very stable and comfortable ride in most environments. 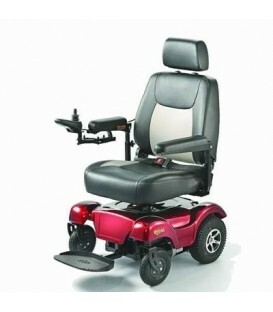 Ideally suited to indoor or urban environments, the HS-2850 has all the features to get you out and about, with the added convenience of a Rehab Seat. 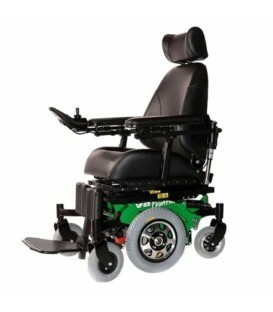 Upgraded suspension for a smoother ride. 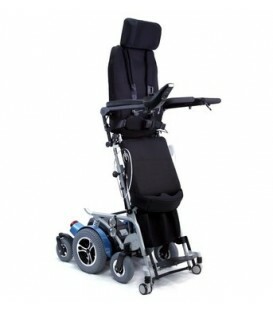 Shark swingaway extendable-retractable joystick, easily converted for left-hand use. 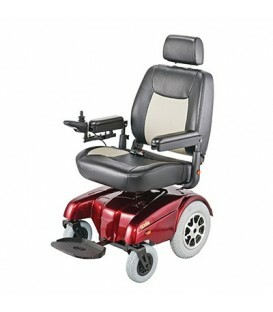 Premium upholstered mid back 19" seat with adjustable headrest & seat belt. 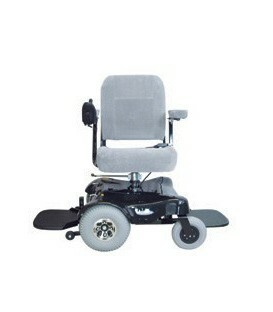 6" front & rear casters. 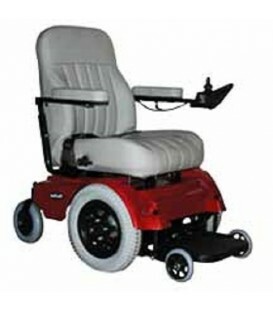 Built in self-diagnostics check basic functions at every power up and set off an alarm if a problem is occurring. Comes with two 36 AMP batteries. 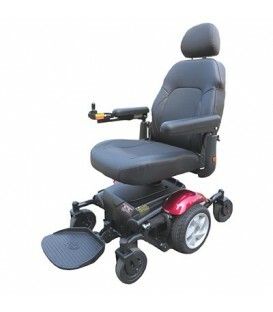 Type Power Chairs Curb Climbing 40 mm / 1.6"
Model Number HS-2850RS Turning Radius 620 mm / 24.4"
Wheels: Front 155 mm / 6" Seat Width 420 ~ 470 mm / 16.5" ~ 18.5"
36 Month Warranty on frame. 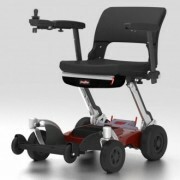 12 Month Warranty on electronics and drive train components. 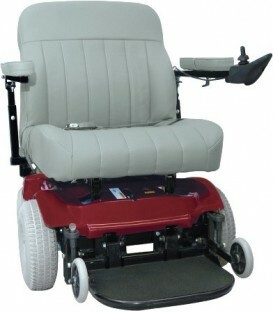 6 Month Warranty on batteries. 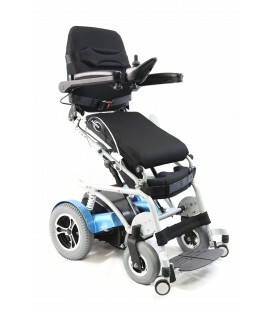 Seat Width 16.5", 17.5", 18.5"
Seat Depth 17.7", 18.7", 19.6"
The CTM HS-2850 Rehab Seat is a mid wheel drive power chair comes complete with a rehab seat, flip up footplate, height adjustable arm rests and an easy to use Dynamic Shark controller. 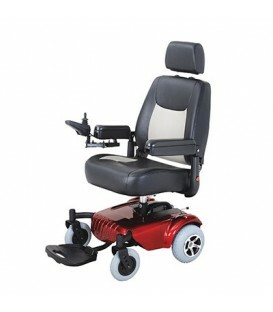 With six wheels on the ground at all times and full coil over suspension, the HS-2850 provides a very stable and comfortable ride in most environments.